Back of the Cereal Box: Whatever Happened to Space Xena? Remember back in 2005 when scientists found those two new celestial bodies? And they called one Ceres? And they called the other one Xena? And for a little while people were saying we might get eleven planets in our solar system? But then, horrifically, they decided instead that not only were Ceres and Xena not planets, but Pluto wasn't anymore either? We chose it since it started with an X ("Planet X”). It sounds mythological (OK, so it’s TV mythology, but Pluto is named after a cartoon, right?). And (this part is actually true) we’ve been working to get more female deities out there (i.e. Sedna). Also at the time the TV show was still on TV, which shows you how long we’ve been searching! Interesting. 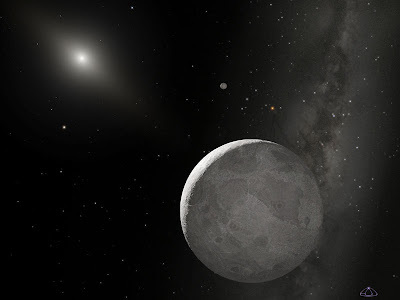 (Sedna, by the way, is another would-be planet that may one day qualify for dwarf planet status, depending on how the International Astronomical Union chooses to define the term. She takes her name from an Inuit goddess.) 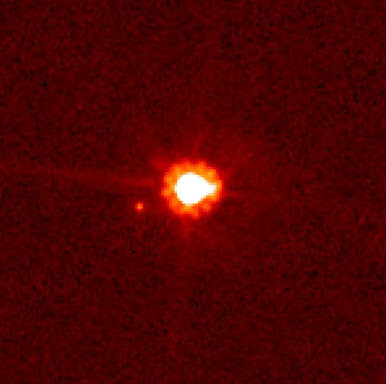 Before the official designation, Persephone was also tossed around as a possible official name for the tenth planet, in reference to its proximity to Pluto's, but Eris was ultimately selected, as the Wikipedia puts it, in reference to "the discord in the astronomical community caused by the debate over the object's (and Pluto's) nature." Easily the best thing I learned in all this research into this, however, has to be the epilogue that gives poor Xena another shot at astronomical celebrity. Shortly after Eris herself was discovered, so too was a moon that orbited her. While the satellite had been initially nicknamed "Gabrielle," after Xena's sidekick on the show, it eventually earned the name "Dysnomia." 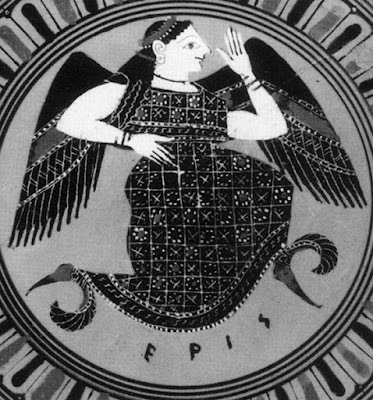 In mythology, Dysnomia is Eris's daughter and the Greek representation of lawlessness. That is, like Lucy Lawless, the actress who played Xena. That pseudo-Greek heroine made in into the sky after all. EDIT: And then another time I bitched about celestial names.